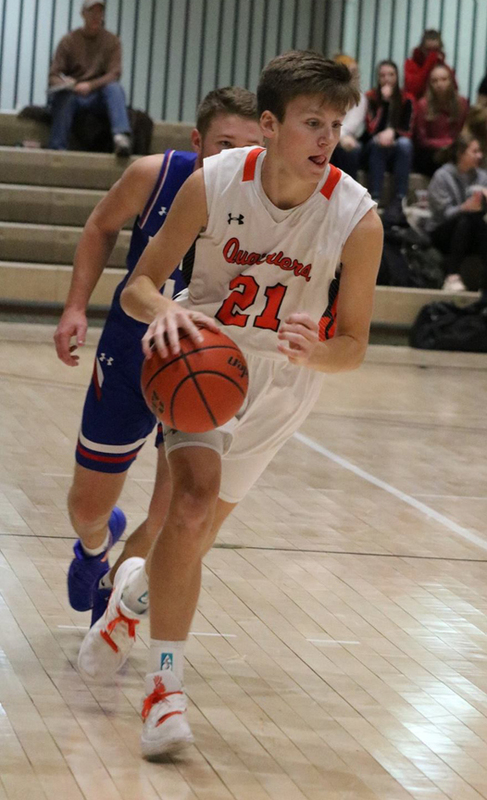 The Dell Rapids Quarrier boys basketball team had a rough couple of days on Friday, February 8th and Saturday, February 9th. Dell Rapids saw their three-game winning streak come to an end on Friday against the Dakota Valley Panthers. The Parker Pheasants then handed the Quarriers another set back on Saturday at the DWU Culver’s Classic on Saturday. 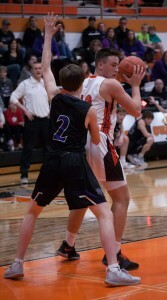 On Friday the Dakota Valley Panthers traveled to Dell Rapids and beat the Quarriers 60-46. Dell Rapids took an early lead in the game and led for most of the first quarter. The Quarriers had a six-point lead at 14-8 and led 16-13 at the end of the first quarter. The Panthers opened the second quarter on a 6-2 run to take a 19-18 lead with 5:30 to play. The Quarriers responded with a 6-0 run for a 24-19 lead with 4:00 to go. Dakota Valley took a timeout at that point which proved to be a momentum stopper for Dell Rapids. The Panthers outscored Dell Rapids 10-2 the remainder of the quarter for a 29-26 halftime lead. The Panthers kept their momentum rolling to start the third quarter and scored the first seven points for a 36-26 lead. Dakota Valley ultimately outscored Dell Rapids 19-11 in the quarter and led 48-37 heading into the fourth. The Quarriers had the Panther lead down to eight points at 48-40 with under 6:00 to play, but that was as close as Dell Rapids could get. Two players finished in double figures for the Quarriers. Connor Rentz had 13 points, and Colin Rentz finished with 12 points. Logan Heim and Coby Maeschen both had six rebounds in the game. Paul Bruns led the Panthers with 25 points, and Charlie Cox added 10 points and 10 rebounds. Dell Rapids had to try to bounce back quickly. 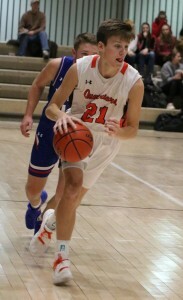 The Quarriers played the Parker Pheasants at the DWU Culver’s Classic Saturday afternoon. After an early first quarter lead by Dell Rapids, Parker rolled to a 59-45 win over the Quarriers. Parker outscored Dell Rapids in every quarter but the the fourth quarter. The Pheasants held a 13-9 lead at the end of the first quarter and grew the lead to 13 by halftime at 33-20. Parker had a game-high 20-point lead with 1:24 to play in the third quarter and led 49-30 heading into the final period. Dell Rapids did outscore Parker 15-10 in the final quarter. The Quarriers finished the game shooting 35% (18-51) from the field, 32% (7-22) from three-point area, and 33% (2-6) from the free-throw line. Parker, meanwhile, shot 40% (19-47) from the field, 23% (3-13) from three-point area, and 78% (18-23) from the free-throw line. The difference in the game turned out to be the gap in free throws. Connor Rentz had 12 points and a steal. Colin Rentz had nine points, six rebounds, and four assists. Carter Nelson also finished with nine points and five rebounds. Coby Maeschen and Logan Heim both had five points. Heim had a team-high eight rebounds. Trey Christensen had 21 points, and Camden Bialas had 20 points for Parker. Dell Rapids (9-6) will travel to Sisseton on Tuesday, February 12th. Big Sioux Media will have a link to a webstream of the game.